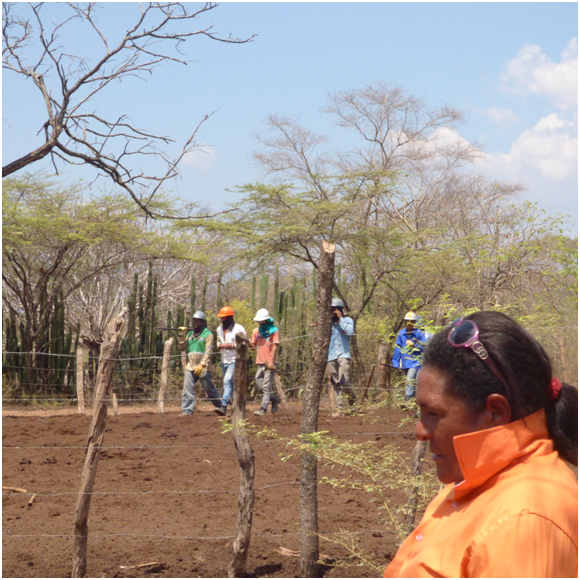 Diana Salazar of LMN member group Colombia Solidarity Campaign has just visited La Guajira, Colombia, as part of a delegation organised by US organisation Witness for Peace, to investigate the impacts of the Cerrejon coal mine. Cerrejon is owned by London-listed multinationals Anglo American, BHP Billiton and Glencore. For background, see the report on last year’s delegation. 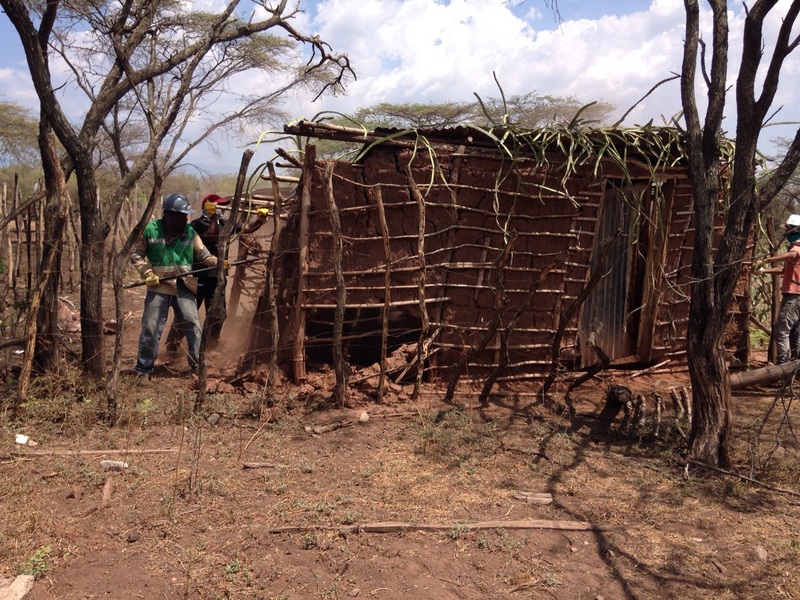 Last Friday, 5 June, the expropriation of Isidro’s house in Roche Community took place . “It was a small house made of natural material, it didn’t take more than five minutes to tear down but it was the place that Isidro called home,” said one of the delegates. On Thursday, after a long day of travel across La Guajira, visiting communities impacted by the Cerrejón coal mine as part of a Witness for Peace delegation, we met a woman named Doña Maria from the community of Roche, who came to us for help. She had just found out that the police were planning to knock down her father’s house, probably the following day in the Roche community, where Cerrejón has already displaced the majority of families and resettled them in Nueva Roche. Her father, Don Isidro, a community elder, who was born in Roche and has live there for all 97 years of his life, was facing expropriation from the land passed down by his family. On the same Friday we had a meeting early in the morning with Cerrejón’s management as part of the delegation. 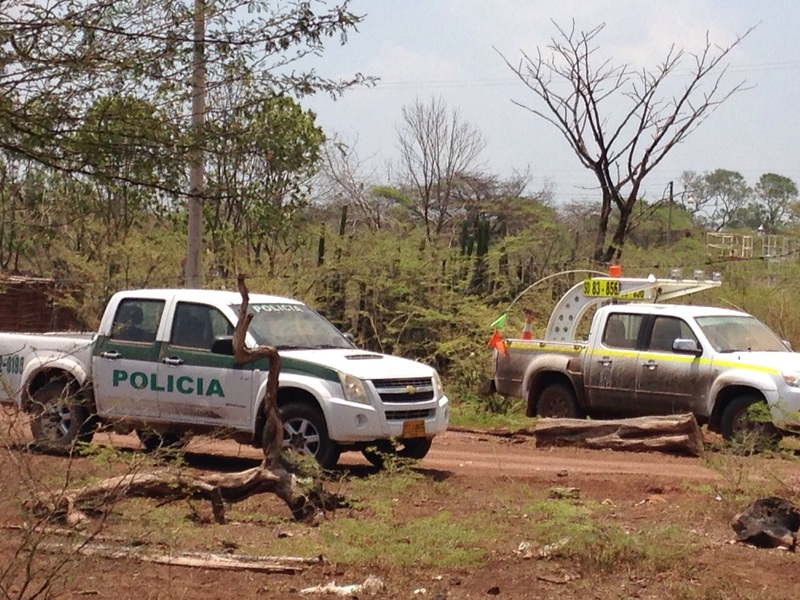 During the tour to the mine’s operation, we received word from community leaders that the police and Cerrejón officials were on their way to tear down Don Isidro’s house. We mobilized one of our delegates to accompany Doña Maria, along with two members of Indepaz, a Bogota NGO, and leaders from neighbouring communities. By the time our delegate arrived in Roche, the police, Cerrejón officials, a judge, and a group of men armed with machetes and crowbars has already arrived and were ready to tear down the house. Meanwhile, the rest of our group was in a meeting with Cerrejón management and leaders from several different communities, discussing problems with water, housing, livelihood projects, and prior consultation, which are all ongoing disconnects between the mine and communities. Our on-the-ground delegate provided us with constant updates and photos of what was happening in Roche. When we called attention to this issue, the mine’s management told us that we were misinformed and that they were only destroying ruins. However, our delegate in Roche reported that, according to Doña Maria, Cerrejón never acknowledged her father as a landowner and had not offered him compensation for his land, house, or animals. Even though her father was unable to continue living there due to his health, he had left his livestock, including a pig and two donkeys, on the site, indicating that he still intended to come back. Furthermore, Doña Maria told us that the bodies of her grandmother and great-grandparents were buried in that same land plot, and she was worried about what would happen with their remains. Her father had not abandoned the house by choice, but had moved to Venezuela where he could receive much-needed medical care. In previous visits of the delegation to the mine, Cerrejón has said that they are interested in doing not the minimum necessary but the maximum possible. Taking on board that commitment and the negative impact that the forced eviction from the Tabaco community has represented for the region, we asked in the meeting why Cerrejón was opting for this alternative, since it is clearly the less desirable one. At the end of the eviction process in Roche, the representatives of Cerrejón asked Doña María to meet them for a follow up negotiation on Tuesday. Not knowing how to read, Maria invited us to accompany her to that meeting. Since the writing of this blog post, Cerrejón sent the letter posted below. Cerrejón has now come to an agreement with Doña Maria and Don Isidrio. But Cerrejón expropriated the property before the negotiation, leaving them vulnerable and with little choice. Doña Maria and her family are not satisfied with the agreement or with the manner in which Cerrejón treated them during negotiations. In this way, it is difficult to see that the stated desire of the company is being carried out in practice, in doing “not simply the minimum necessary but rather the maximum possible”. Our contacts in the region report that Cerrejón continues to make legal negotiations difficult for communities as it holds all official legal proceedings in the city of San Juan, requiring community members to travel at least an hour. There is a judge in the municipality of Barrancas, which is much closer to the resettled communities who could handle such matters. We thank Cerrejón for having responded to the blog in such a prompt manner. Diana Salazar’s participation in this delegation was part-funded by London Mining Network with a grant from the European Union. This report has been produced with the financial assistance of the European Union. The contents of this report are the sole responsibility of the author and can under no circumstances be regarded as reflecting the position of the European Union.